Ring Wars Carolina: Upcoming Event: "Back by Popular Demand"
"Back By Popular Demand" is what they said! 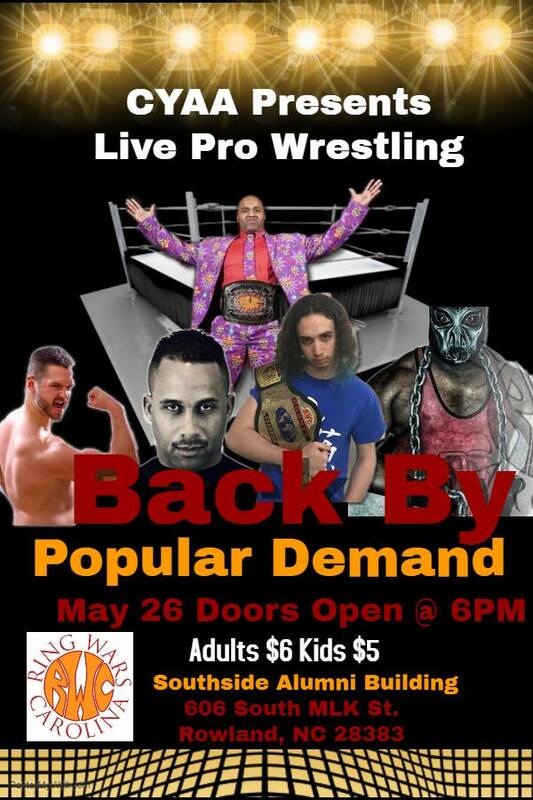 Rowland has been so good that The RWC Heavyweight Champion, Nite-Stic Eddie Brown will be in the house. This will be an action pack event by RWC. 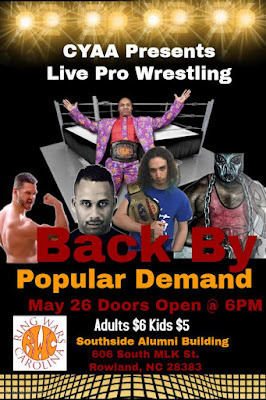 The RWC No Limitz champion Flex Simmons & RWC 4 County Champion Drew Thomas will be stopping by in Rowland NC to defend the respected titles. Oh wait, Hometown Monster Syde-Effect is slated to be in the building. A lot of surprises are in store! You do not want to miss this event cause its been requested, "Back by Popular Demand"in Rowland NC!